Chef's knife: A sharp knife is the safest knife. Pot mitt: Get two to protect your hands while lifting hot pots. Big mixing spoon: Useful for sauteing and stirring. 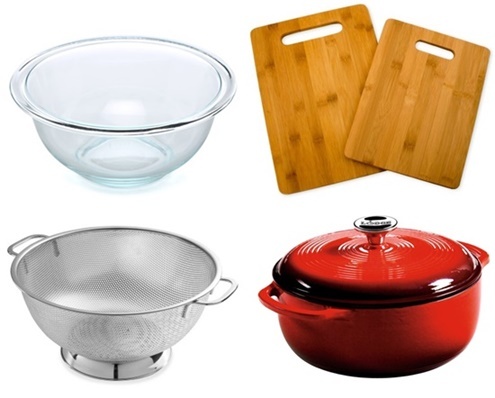 I love silicone or stainless steel because they can go in the dishwasher and withstand high temperatures. Soup ladle: I especially love this one because it's kinda small and bends slightly to make it easy to get leftover soup into mason jars. Immersion blender: A low-cost option and totally suitable for most of the recipes used during this challenge. Measuring cup: I like to use two sets- one for dry ingredients and another for wet. Measuring spoons: Two sets are handy in this case, as well. 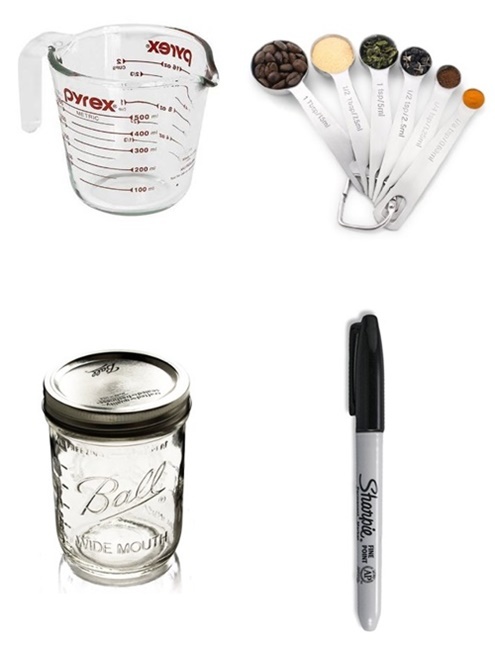 Mason jars: Useful for storing leftovers-- make sure you get wide-mouthed mason jars if you will be putting them in the freezer. You can re-use tomato sauce and pickle jars if you aren't planing on freezing the jars. Plastic freezer storage bags can work too. Sharpie marker: For labeling leftovers. Crock-Pot/ Slow cooker: Let soup simmer slowly while you're sleeping or out at work. Pressure cooker: Useful for cooking beans from scratch in less time. 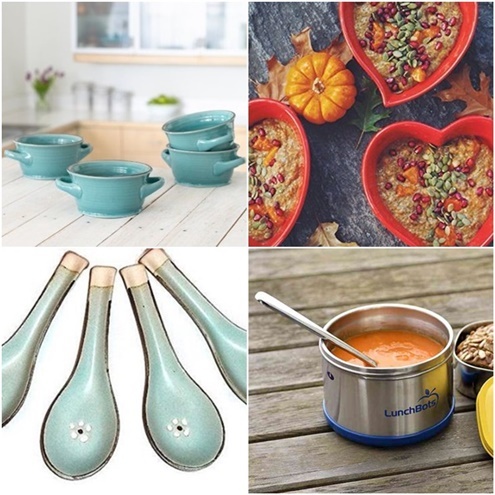 Cute soup bowls: This sweet little heart-shaped bowl is on my wish list, as is this dreamy set of turquise stoneware bowls. Asian-style soup spoons: I'm drooling over these cherry blossom porcelain spoons. Thermos or insulated travel bowl: Bring soup to work or school and keep it hot for up to 5 hours! Can opener: For when you can't find Tetra packed beans and tomatoes or just don't wanna make beans from scratch. Vegetable peeler: Useful you don't like potato or carrot skins. Personally, I don't peel anything but butternut squash. However, I like using this for getting out potato spuds. Food processor: For making soup toppings like pesto and hummus. Also useful for blending fresh cilantro or parsley with oil to preserve it. 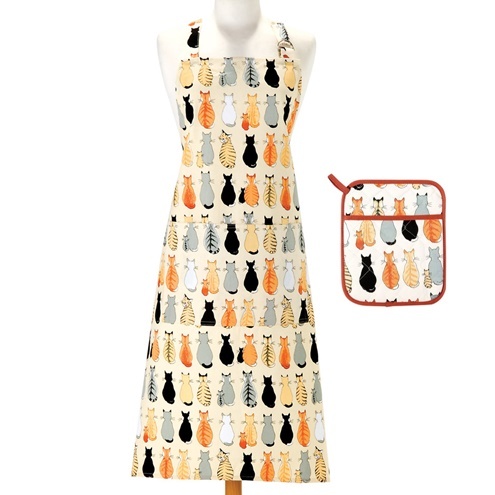 Cute cat apron to match your pot mitt: Protect yourself in style! Am I missing anything? 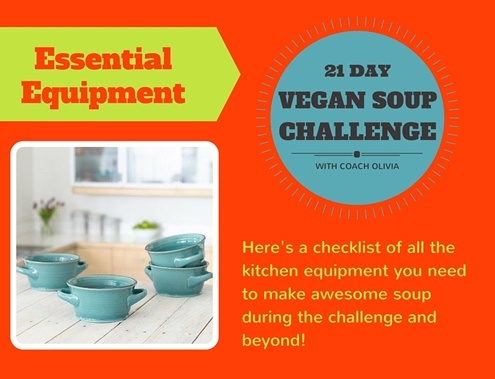 What do you think belongs in the kitchen of every vegan soup chef?